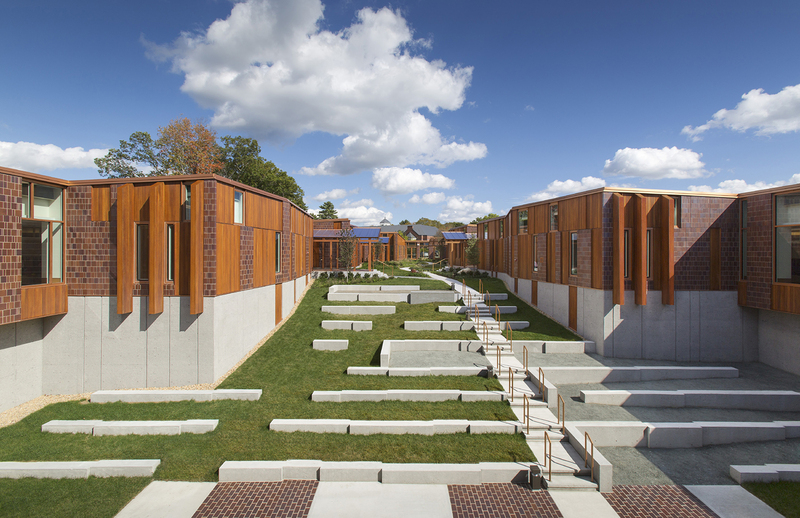 The exterior of this elementary school is gorgeous in form and materiality, and sits well in its context. 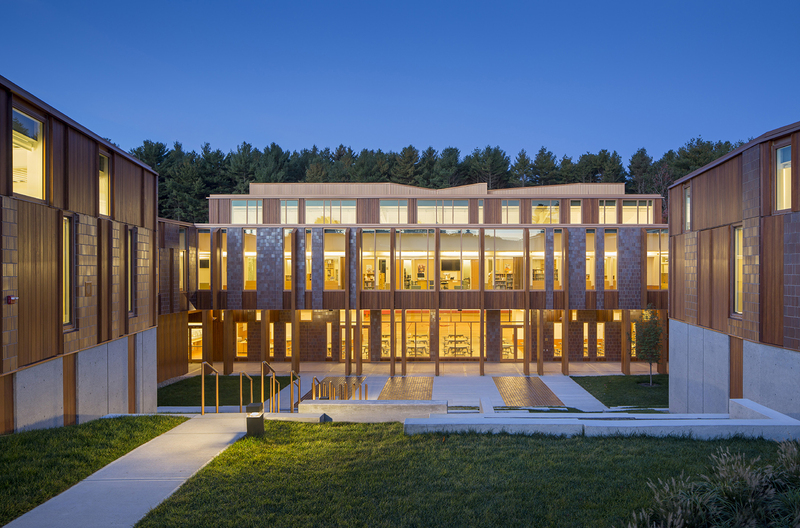 The architect developed a clear language, allowing the project to stay true to itself, from concept through execution. 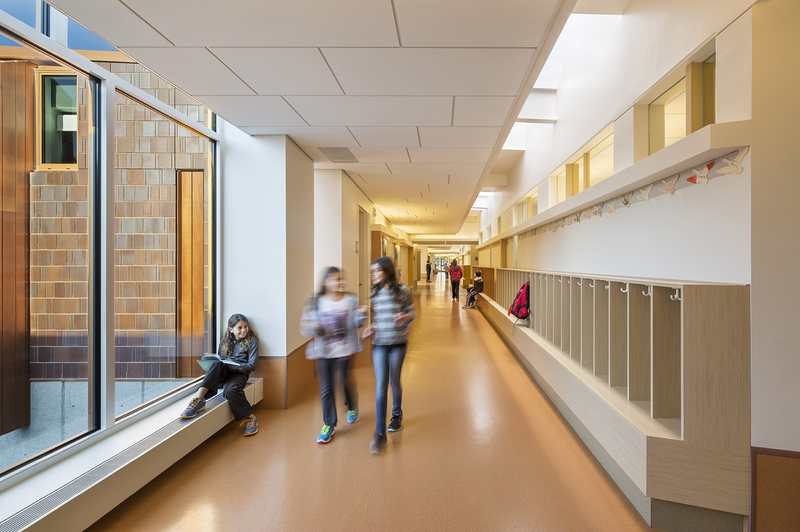 The use of 100% daylight during school hours enhances learning and reduces operating costs. 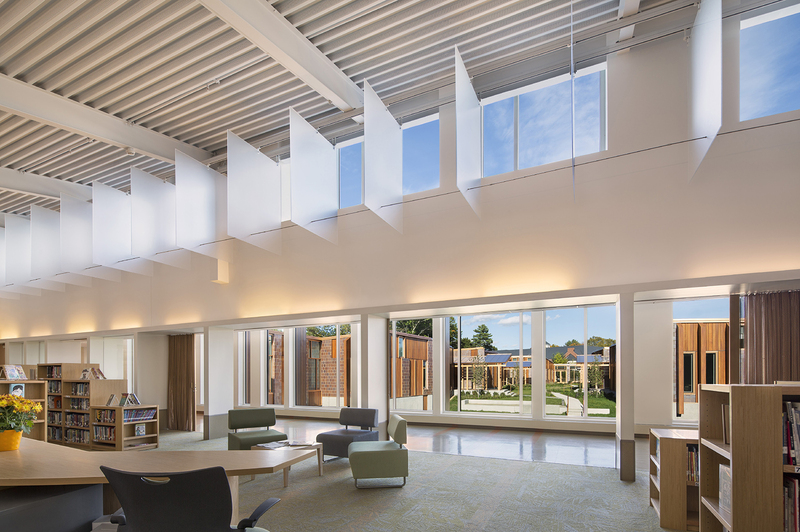 Displacement ventilation provides a high volume of fresh air that supports reduced student absenteeism and increased alertness. There are many smart moves related to learning. We particularly admired the inner courtyard, which uses its lower space for a commons with stage, while supporting a library above. A tremendous level of maturity and control is at work here. So many times schools play down to the youngest of its users, but elegant design might help children learn how to act–and what to ask for–in a grown up world.